Many properties in coastal Australia are underinsured or lack insurance cover for inundation and erosion, and this situation is likely to get worse under climate change and sea-level rise. Many insurance companies operating in Australia do not cover storm surge or erosion in their residential property insurance, and none covers gradual sea-level rise. There is a considerable number (and value) of buildings at risk from sea-level rise in Australia. It is estimated that up to $63 billion (2008 replacement value) of existing residential buildings are potentially at risk of inundation from a 1.1 m sea-level rise in Australia, representing between 157 000 and 247 600 individual buildings. Governments are often the ‘insurer of last resort’ following a disaster and, in the absence of adaptation measures, this role may grow under sea-level rise. The Productivity Commission, in its report ‘Barriers to Effective Climate Adaptation’ was clear that governments should not subsidise property insurance in at-risk areas, as this would lessen incentives for property owners to take actions to reduce their risk while imposing costs on taxpayers. Local councils have a role in the areas of hazard mapping and data provision, community awareness-raising and education, mitigation activities (i.e. building preparedness), and support for emergency services and volunteers. 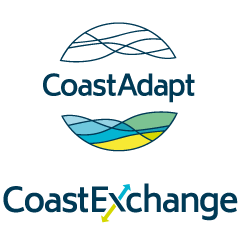 By undertaking or augmenting these roles, councils can build the resilience of communities to address future climate change and sea-level rise. Many insurance companies operating in Australia do not cover coastal flooding in their residential property insurance and none covers gradual sea-level rise. To quote Bell (2014), ‘there is no insurance product currently available that comprehensively covers all loss or damage caused to residential property by all actions of the sea’. Insurance products generally recognise three actions of the sea—gradual sea-level rise, storm surge and erosion—which differ in their potential to cause property damage. Sea-level rise as a single factor can cause inundation of properties and buildings during high or king tides in low-lying areas, e.g. estuary shorelines. Storm surge driven by intense storms such as cyclones and East Coast Lows (and which will be exacerbated as sea levels continue to rise and the intensity of storms changes) can cause inundation of buildings and hence water damage to the structure and contents. Erosion, caused by storm surge and sea-level rise, can remove land on the property and cause damage to buildings or collapse where foundations are undermined. The three actions are excluded by many general insurance policies in Australia (HoR SCCCWEA 2009). No insurance policy covers loss of land from a property due to erosion, which is important for many shorefront properties where the value of the land exceeds or equals the value of the building. Table 1 sets out the cover offered by a representative selection of companies. Table 1: Summary of insurance coverage (home and contents) for actions of the sea (taken from Bell 2014). The House of Representatives report on managing the coast under climate change (HoR SCCCWEA 2009, Chapter 4) suggested that climate change could have adverse impacts on insurance affordability, compounding the problem of under-insurance. The report indicated that around 23% of Australian households were, at the time the report was written, without building or contents insurance. If premiums rise because of a perceived or real increase in risk in the coastal zone, then this figure is likely to rise. If risks from inundation or storm damage increase in the coastal zone, insurers will increase premiums and may ultimately choose to refuse to offer cover for those risks. There is no evidence at present that insurers are changing or withdrawing the limited cover offered for coastal risks (Table 1). However, there is a precedent: in 2012 the Suncorp insurance company refused cover to householders in two Queensland towns that had experienced flooding on several occasions in the previous few years (Suncorp Group n.d.). Cover was reinstated following construction of flood protection works. 2. Why is sea-level rise not covered by insurers? Although it is possible to obtain insurance for storm surge and erosion, Table 1 shows clearly that no insurance company offers cover for sea-level rise. Why is this the case? the risks should be sufficiently independent, or ‘uncorrelated’, so the aggregate results for a portfolio of risks benefits from diversification. Sea-level rise fails these assumptions in a number of ways. First, the risk is not unforeseen (see Global climate change). Second, sea-level rise will lead to risks which will be fundamentally different from those experienced in the past. Third, these risks are not at the present time ‘reasonably predictable’, although this may change as LiDAR data becomes more available and inundation mapping more reliable. the current value of existing residential buildings at risk from inundation is in the range AU$41 billion to AU$63 billion (2008 replacement value). The DCC (2009) further estimated the number of facilities delivering community services at risk because of close proximity to the coast (defined as within 200 m of the shoreline). These included 258 police, fire and ambulance stations, 5 power stations/sub stations, 75 hospitals and health services, 41 landfill sites, 3 water treatment plants, and 11 emergency services facilities. Where a large storm such as a tropical cyclone or East Coast Low (see Cyclone and ECL impacts) impacts a large area of the coast, then it is likely that many properties will be damaged that either are under-insured or have no insurance. In addition, there is likely to be a large cost for repair of infrastructure and public buildings such as schools and hospitals. The government of the time may then be faced with having to become the ‘insurer of last resort’. And indeed, it can be argued that government should take on this role for vulnerable members of the community such as the poor, elderly and infirm. To meet the cost of reconstruction following the Queensland floods of 2010-11, the government imposed a financial levy on all taxpayers with a taxable income of more than $50 000 a year. Many insurance policyholders will not know whether their policy covers them for storm surge or erosion. In the absence of insurance cover, governments may find themselves acting as the ‘insurer of last resort’ following a disaster. For example, following the Queensland floods of 2011, householders could apply for a number of grants from government, including hardship grants and grants to cover restoration of utilities (The Sydney Morning Herald 2011). ‘By pricing risks, insurance … gives households, businesses and governments an incentive to reduce … risks. However, government intervention in insurance markets may mean that insurance premiums do not appropriately reflect the underlying level of risk.’ (page 23). The Commission made three recommendations regarding the relative roles of insurance companies and government. State and territory taxes and levies on general insurance constitute a barrier to effective adaptation to climate change. State and territory governments should phase out these taxes and replace them with less distortionary taxes. The Australian Government should only proceed with reforms that require all household insurers to offer flood cover if it can be demonstrated that the benefits to the wider community would exceed the costs. Governments should not subsidise household or business property insurance, whether directly or by underwriting risks, as this would impose costs on taxpayers without reducing physical exposure to risks. The National Strategy for Disaster Resilience (COAG 2011) takes a position in alignment with the Productivity Commission report, seeing a role for government primarily in the areas of hazard mapping and data provision, community awareness-raising and education, mitigation activities (i.e. building preparedness), and support for emergency services and volunteers (Box 1). In many cases, these are roles that already fall within the responsibility of local councils. By undertaking or augmenting these roles, councils can build the resilience of communities to address future climate change and sea-level rise. Given that, in general, properties do not have, or only have limited, insurance for actions of the sea (Table 1), there are particularly important roles for local government. Provision of hazard mapping is critical for identifying the scale and prospective timing of risk to an asset on a property, and so for supporting the owner to determine the optimal risk management strategy for the property. In addition, property owners can realistically only be aware of the nature of any risk (or its absence) for their property if the hazard maps are made readily available. In the circumstance of non-insurance of properties for damage from action of the sea, it is important to have sound approaches to development controls and planning restrictions to reduce the level of damage in the event of inundation, wave action and erosion. These include building lines based on hazard mapping and building design criteria (e.g. raised floor levels and deep pile foundations). working in a swift, compassionate and pragmatic way to help communities recover from devastation and to learn, innovate and adapt in the aftermath of disastrous events." Bell, J., 2014: Climate Change and Coastal Development Law in Australia. Federation Press. COAG (Council of Australian Governments), 2011: National Strategy for Disaster Resilience. Commonwealth of Australia, Canberra. Accessed 31 May 2016. [Available online at https://www.ag.gov.au/EmergencyManagement/Documents/NationalStrategyforDisasterResilience.PDF]. DCC (Department of Climate Change), 2009: Climate Change Risks to Australia’s Coasts: A First Pass National Assessment. Australian Government, Canberra. Accessed 31 May 2016. [Available online at https://www.environment.gov.au/climate-change/adaptation/publications/climate-change-risks-australias-coasts]. HoR SCCCWEA (House of Representatives Standing Committee on Climate Change, Water, Environment and the Arts), 2009: Managing our coastal zone in a changing climate: The time to act is now. In: Chapter 4: Key emerging issues: insurance, planning and legal matters relating to the coastal zone, 113-162. Commonwealth of Australia, Canberra. Accessed 31 May 2016. [Available online at http://www.aph.gov.au/parliamentary_business/committees/house_of_representatives_committees?url=ccwea/coastalzone/report.htm]. Productivity Commission, 2012: Barriers to Effective Climate Change Adaptation. Inquiry Report No, 59. Accessed 31 May 2016. [Available online at http://www.pc.gov.au/inquiries/completed/climate-change-adaptation/report]. Prudential Regulation Authority, 2015: The Impact of Climate Change on the UK Insurance Sector: A Climate Change Adaptation Report by the Prudential Regulation Authority. Bank of England, London. Accessed 31 May 2016. [Available online at https://www.bankofengland.co.uk/prudential-regulation/publication/2015/the-impact-of-climate-change-on-the-uk-insurance-sector]. SECRC (Senate Environment and Communications References Committee), 2013: Recent trends in and preparedness for extreme weather events. Commonwealth of Australia, Canberra. Accessed 31 May 2016. [Available online at http://www.aph.gov.au/parliamentary_business/committees/house_of_representatives_committees?url=ccwea/coastalzone/report.htm]. Suncorp Group, n.d.: Risky Business: Insurance and Natural Disaster Risk Management. Accessed 31 May 2016. [Available online at http://www.suncorpgroup.com.au/sites/default/files/pdf/news/Risky%20Business%20Paper%20-%20Suncorp%20Group%202013.pdf]. The Sydney Morning Herald, 2011: Utilities grant for uninsured flood hit homes. Accessed 29 May 2018. [Available online at https://www.smh.com.au/national/queensland/utilities-grant-for-uninsured-flood-hit-homes-20110122-1a0fy.html].